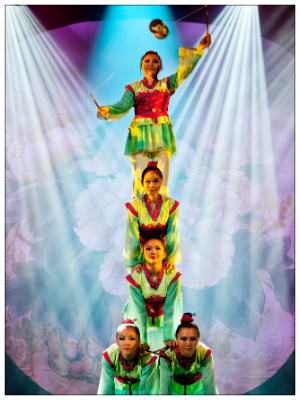 Prepare to be dazzled with the award-winning acrobatics, traditional dance, and spectacular costumes of The Golden Dragon Acrobats from Hebei province in the People’s Republic of China. Its members are athletes, actors, and artists who have studied and trained for their craft since early childhood. Touring through all 50 states over 65 countries across the world, the troupe represents the best of a time-honored tradition that began more than 25 centuries ago. Bring the whole family to experience this show of breathtaking skill and spellbinding beauty!